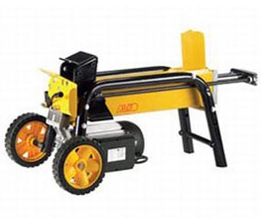 The AL-KO KHS 3700 is a mains electric powered hydraulic log splitter. Capable of handling logs up to 370mm long, the KHS 3700 has a maximum split force of 4 tonnes. Easy to use and quiet in operation, the AL-KO KHS 3700 is ideal for heavy duty home use. Delivery of this item is FREE to addresses in the Norfolk and Waveney Valley area of Suffolk. One of our own sales and service engineers will deliver this item and give full instruction of use. In order to provide our full service for AL-KO machinery, we do not offer nation wide delivery of this logsplitter.